EACH MONTH YOU WILL MAKE A PAPER PIECED FLOWER BLOCK. EACH MONTH THE DIFFICULTY WILL INCREASE TO HELP YOU DEVELOP YOUR SKILLS. THE SHOP WILL PROVIDE A MATERIAL KIT FOR THE BLOCKS EACH MONTH. THE 9 BLOCKS WILL GIVE YOU ENOUGH TO MAKE A TABLE TOPPER. 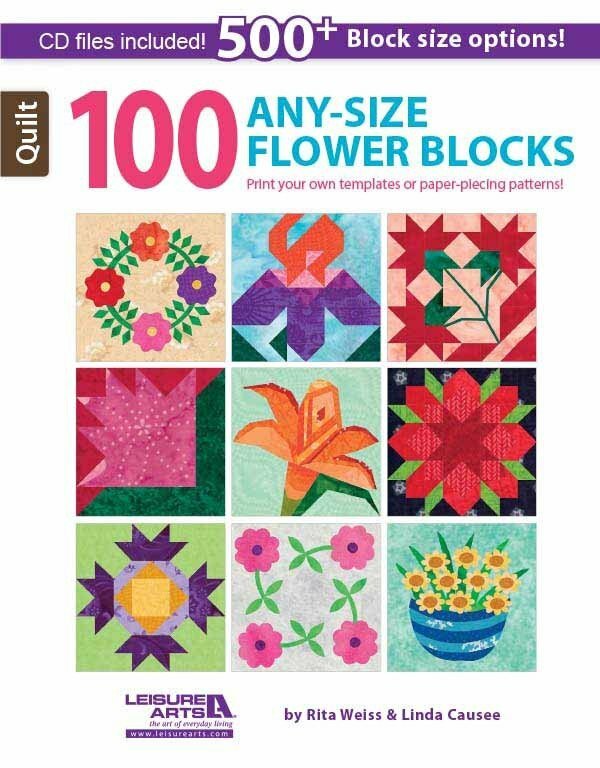 IF YOU CHOOSE YOU CAN MAKE ADDITIONAL BLOCKS AT HOME TO MAKE A QUILT OR WALL HANGING. EACH PERSON WILL NEED TO PURCHASE THE FLOWER BLOCK BOOK FROM THE SHOP. Requirements: EACH STUDENT WILL NEED A GOOD WORKING SEWING MACHINE, THREAD IN A NEUTRAL COLOR, ROTARY CUTTER, THREAD SNIPS, AND ADD A QUARTER RULER. IF YOU HAVE A SMALL CUTTING MAT AND/OR IRONING MAT AND SMALL IRON YOU MAY WISH TO BRING IT.